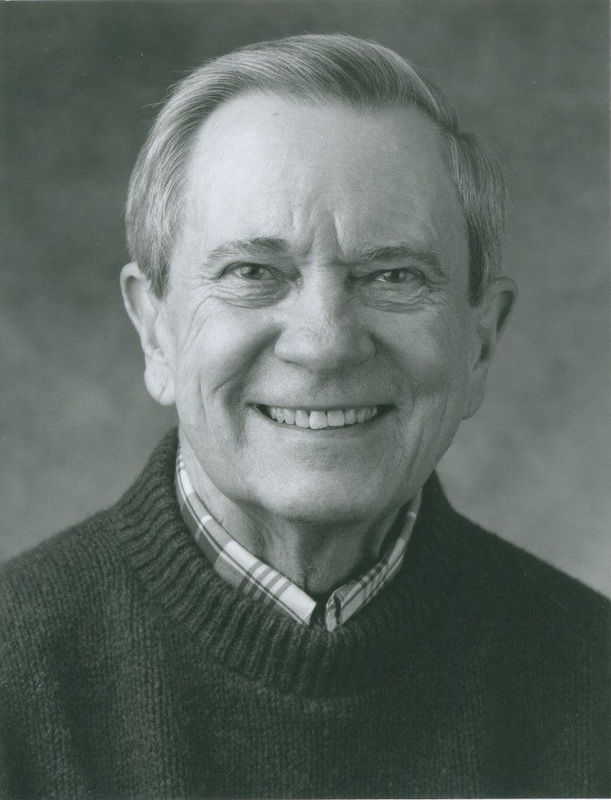 Robert Lawton “Bob” Jones died in Santa Fe, New Mexico on September 14, 2018, at the age of 93. He was an architect, a designer, a city planner, an educator, and a mentor to many. His influence on Tulsa and beyond is tangible in the buildings of Murray Jones Murray, and it continues through the many architects and planners who learned from him. Tulsa’s Civic Center, a “radically modern project”, brought Bob to Tulsa initially. The Civic Center Historic District is listed in the National Register of Historic Places. Follow this link to read Michael Overall: Modern architect’s legacy will live on in Tulsa. As director of design and planning with Murray Jones Murray, he sought an architecture that would meaningfully respond to the imperatives of nature, humanity, and technology. His commitment was to quality and to the development of professional teams at a time of great social and economic change. Former associates describe him as “scholarly, witty and driven.” An early mentor was Mies Van der Rohe, arguably one of the world’s top four architects of the Modern Movement in the Twentieth Century. Murray Jones Murray work was published, exhibited or honored on 120 occasions. “Bob was a brilliant architect and multi-faceted leader. He was my mentor, my boss, and eventually one of my partners at Murray Jones Murray, Inc. Bob hired me as an Intern Design Architect in 1972 and we worked together on a myriad of the most significant architecture projects in the history of Tulsa and Oklahoma. He believed steadfastly in the tenets of the international style of modern architecture and took the “less is more” approach. He believed in “man, nature and the built environment”. The principles of sustainable architecture and timeless design are exemplified in his design for Tulsa International Airport. Many of Bob Jones’ most celebrated works are as beloved today as they were when constructed. The 1962 terminal at Tulsa International Airport won international acclaim for its sleek and futuristic design. Oklahoma City’s St. Patrick’s Catholic Church, also completed in 1962, was photographed by famed architectural photographer Julius Schulman for the cover of Progressive Architecture. 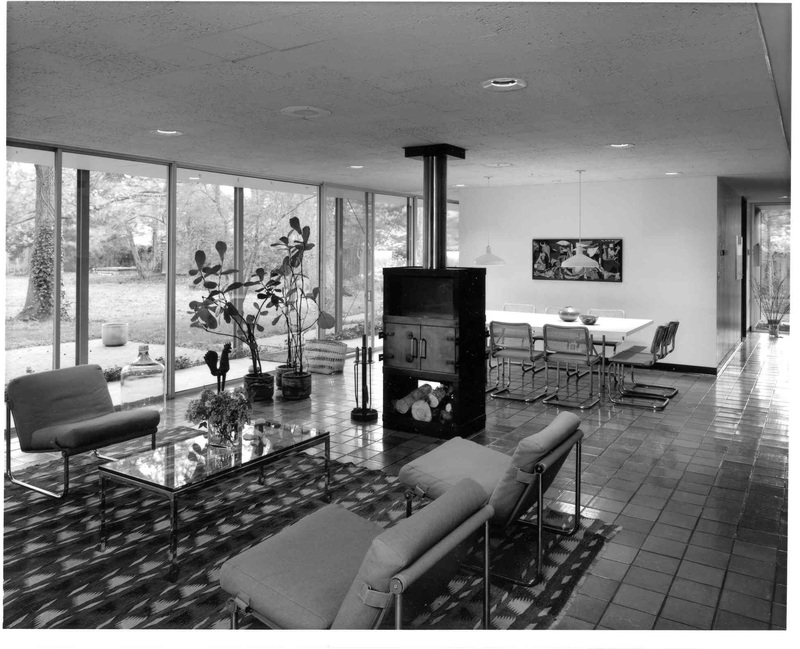 Here in Tulsa, he designed a simple but stunning Mies-influenced residence for his own family. The Robert Lawton Jones house was also photographed by Shulman, who cleverly contrasted the architect’s young children with their modern new home. Love for the Jones house endures: it has been featured recently by both the Tulsa World and Curbed and is listed in the National Register of Historic Places for its significance as Tulsa’s only Miesien international style house. Bob was also an early contributor to a group of forward-thinking architects and others who helped the AIA Eastern Oklahoma chapter create its sister organization, Tulsa Foundation for Architecture, and establish its Architectural Archives. TFA is fortunate to house a large collection of Murray Jones Murray materials in the Archives today. After 35 years of private practice with Murray Jones Murray in Tulsa, Bob was appointed Professor of Architecture and Director of the Graduate Program in Urban Design at the University of Oklahoma, a position he held for 11 years. He then served as Campus Planner for the University of Tulsa until his retirement at the age of 72. Tulsa Foundation for Architecture will feature Bob Jones and selections from the MJM archive at the October 13, 2018 Second Saturday tour. The AIA Eastern Oklahoma Chapter and Tulsa Foundation for Architecture are planning to co-host a toast to Bob Jones and the legacy of the Murray Jones Murray firm in December. We hope you can join us. To read the full obituary published in the Tulsa World, please click here.